The school is situated in India in the Himalayan foothills, in the valley of Kullu, a few kilometers from the town of Manali. This is part of Himachal Pradesh region, to the south of Ladakh. The school hosts 290 children, boys and girls in equal numbers, as well as 23 teaching staff. 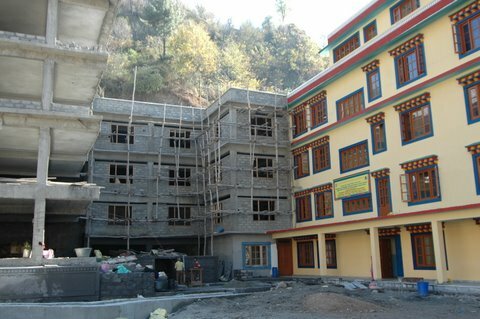 The vocation of this unique undertaking, which is of the highest educational and humanitarian quality, is to accommodate free of charge, as school boarders, the children of the most underprivileged families, from the north of India to Ladakh. It pursues this aim in a spirit of peace and universal fellowship. Without this boarding school, the majority of these children, sons and daughters of nomads or farmworkers, would lack the possibility of receiving any school education. So touched were we by the altruistic state of mind of the school’s managers, and by the extent of mutual aid and compassion instilled in the children, that in 2004 the team at Art’Tibet Cham Sem decided to give long-term support to these efforts. The school has encountered some very real difficulties since its establishment, receiving only very little financial support from the Indian government. Previously located in cramped and dilapidated buildings (see the film below), it appealed for help to an English foundation which financed the construction of new buildings, which the school occupied in 2010. The new school, which is intended to provide in future for accommodating 500 boarders, might seem luxurious from the outside. It is nothing of the kind. Life is very simple in the residence and the director, Palki, finds it difficult to make ends meet. There is still a lot of work to be done in order to reach the minimum of comfort required for the functional living-in arrangements to reach a decent level. 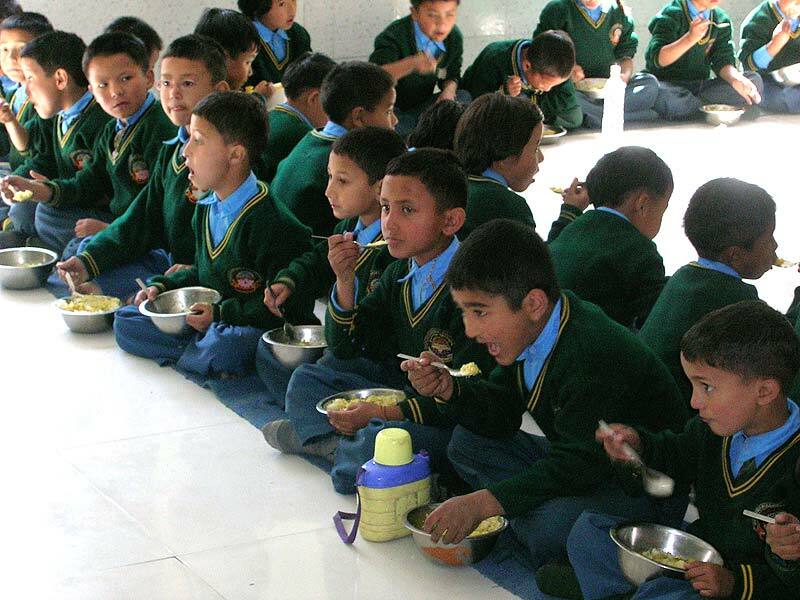 The children of Manali, aged from 4 to 16 years, occupy the accommodation from 1 September until 30 June each year. At the start of the school year their parents bring them across the mountain chain which separates them from Manali. The pupils come with only a small trunk of possessions. 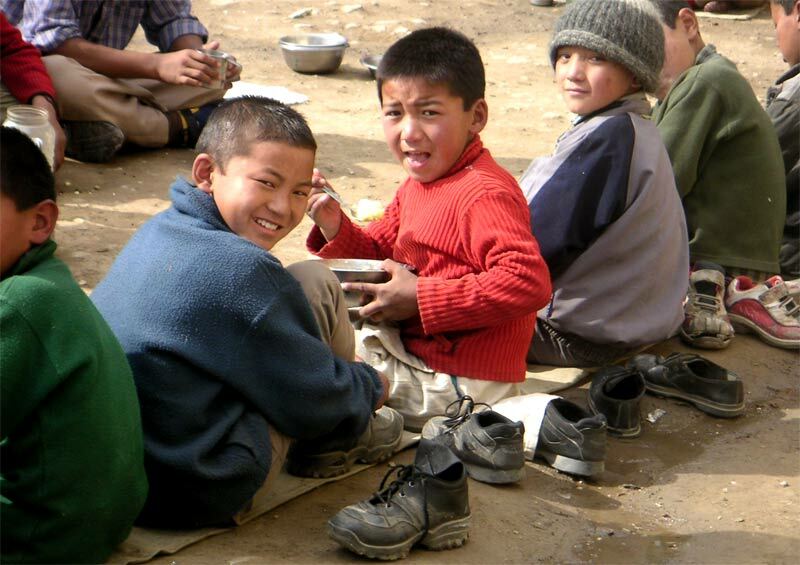 In view of the great distance which will separate them at school from their families, and the fact that Himalayan climate makes the mountains impassable during winter, the children know that they will not see their parents again until the following June. They are ready to make every effort to obtain an education which would be beyond the means of their parents, without this school. Our association sent a music teacher to Manali, and later also a teacher of yoga. We were very impressed by what they told us, on their return, about the enthusiastic determination with which the pupils apply themselves to their studies, the older ones helping the younger. Courses are provided from the primary level up to the first stage of secondary school. There is then a final year of study at the official school provided by the Indian Government. 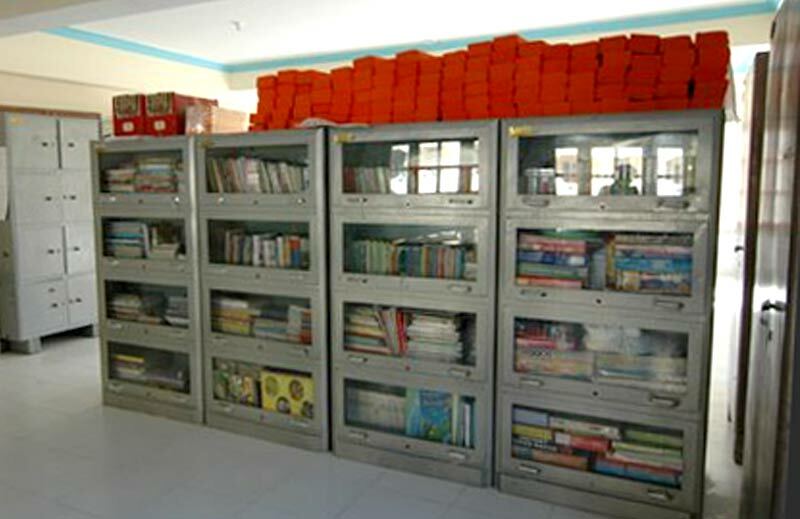 The Manali school offers courses, typically, in mathematics, natural sciences including physics, and also English, Sanskrit, Hindi (as the language used by Indians locally). In addition, there are classes in the Tibetan language, which is indigenous to the Himalayas in this region. Sport and dance, particularly traditional dance, feature in the weekly schedule, as does spirituality : a monk introduces the children to Buddhist studies, and a period of prayer begins each day, appreciated by all concerned. There is more than just the curriculum: there are eight ‘Mammies’, older ladies to care for the children and provide the love and care which they would otherwise lack, so far from their parents. Today, thanks to the support of our sponsors and partners, we are very happy to be able to support the development of this important project over time: Various types of support are given: the purchase of schooling supplies and books, purchase of medication, payment of regular visits of doctors and also payment towards the food budget. 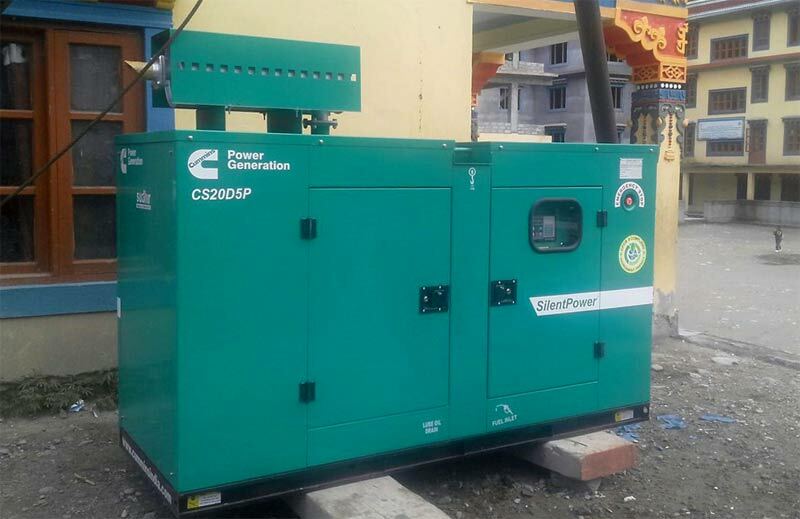 Thanks to a formerly support of Fondation Grésigny, the Boarding School is equipped with expensive but essential supplies, like a heating system for the classroom of the youngest, a generator, a library etc. A doctor visits the boarding school regularly to treat children, and a nurse is present there full time. We are still searching for dentist volunteers, who would like to spend some time in Manali to treat children. Some dentists have already offered their help for a prevention program in the school, although there are needs for medical care every day. Therefore we are appealing to people with good will, to come and treat the children. Art’Tibet Cham Sem would also like to support teenagers who get out of school and wish to learn a profession. We are appealing to any person who would like to support such a young person to be able to study, or towards learning a profession. Indeed we can see that at the end of a school curriculum, students rarely have that choice but go back to the field to work with their parents or to join the Indian army. With complementary training, they would become a real help for their community, as they would have received a good school education. Your help is very precious to us.